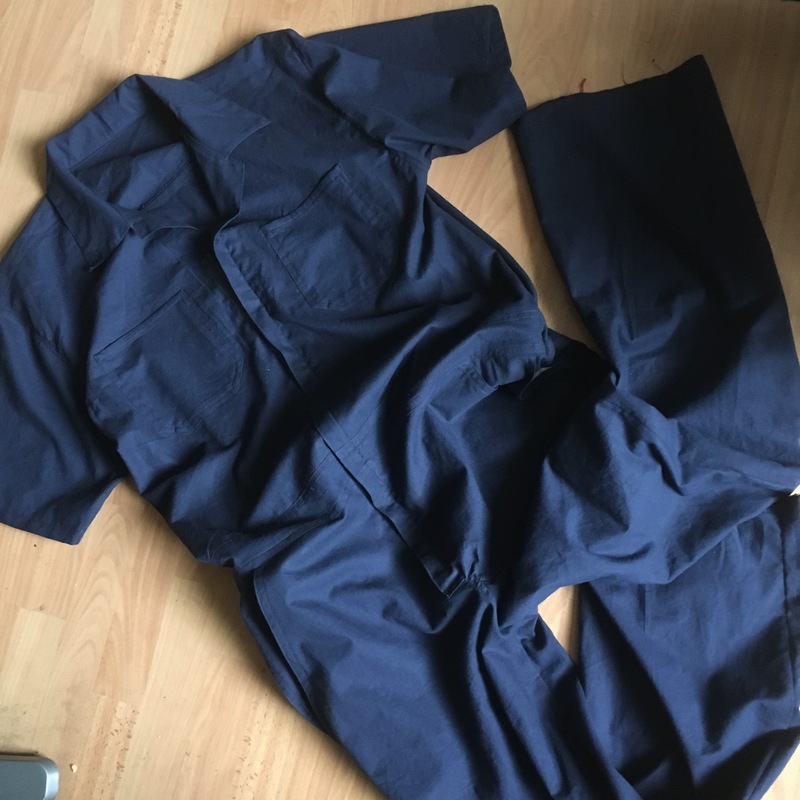 Here is the story of (possibly) my manliest-make to date… Kwik Sew 3389. CousinA is a tinkerer, a (mad?) inventor, a genius and above all, a crafter. Often found in his workshop, in his ‘work clothes’… This is where I come in. Knowing CousinA as I do, I know it would take something special to get him out of his regular workshop attire, I also know that ‘something special’ does not mean all the bells & whistles that you might expect. No, CousinA has a beautifully simple, classic, utilitarian taste. No polyester, muted palette, no labels (this won’t even have a washing label- that should go down well). And it will even fit over his existing work wear, protecting (hiding) it for years to come. I got 4m of well priced navy blue (100%) cotton from John Lewis. Washed, dried & pressed. I took all of CousinA’s measurements, including the ’round the world’ measurement, which kind of gives the game away for what you are sewing (… either overalls or a leotard!). He measured up to size M, with the round the world measurement indicating I should lengthen the body by 5cm. This made sense as CousinA is tall, slim, longer body than legs. 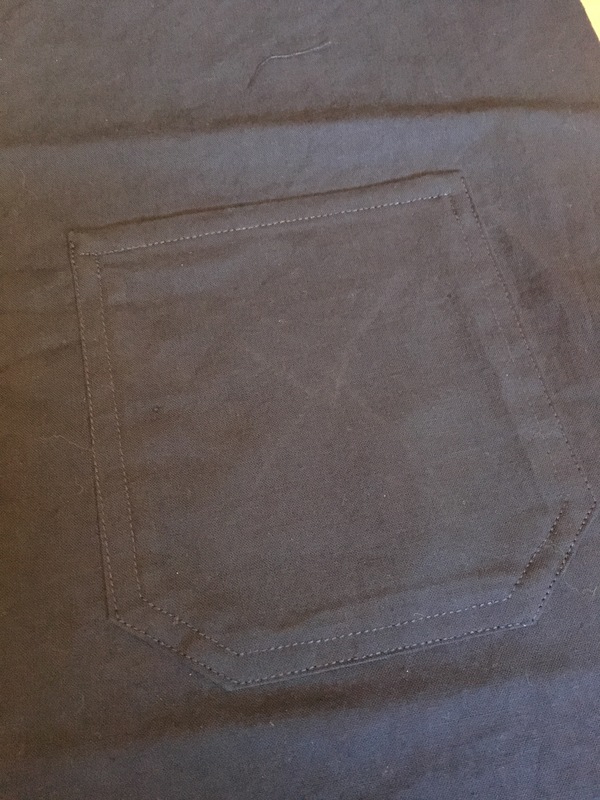 I started off with the patch pockets, both on the back pants and the front body. That got me warmed up. The front pockets were fun to put together. There’s the pocket and an opening so that you can get to the pockets of whatever you’re wearing underneath. This was one of those moments where I turned the radio down and made sure I followed the instructions very carefully. Part of me wanted to flat-fell or French seam all the finishes. It is a gift after all, but I think that kind of attention is more suited to birthday gift sewing… Christmas sewing (for me, this year) needs to be quicker. 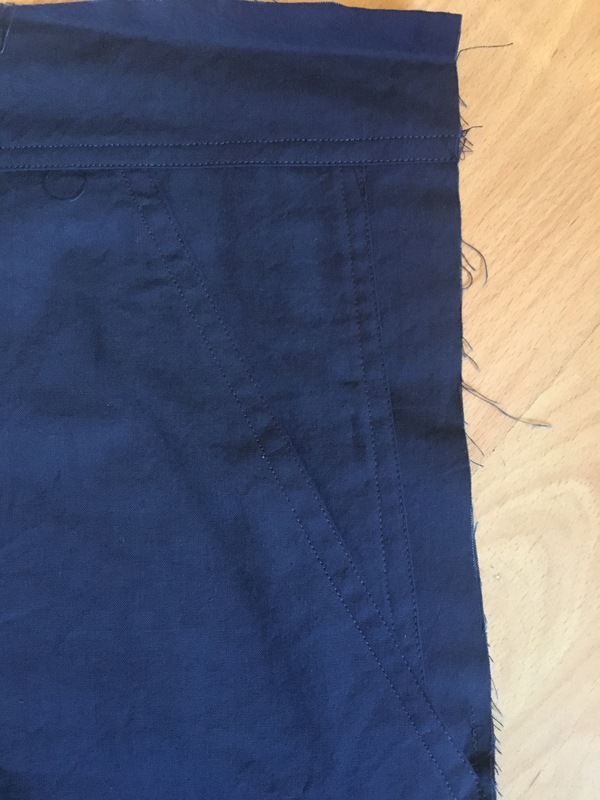 I sewed my seams, overlocked them together and topstitched them down. After attaching the fronts to the yoke I mainly followed the instructions for the collar, carefully avoiding any handstitching. 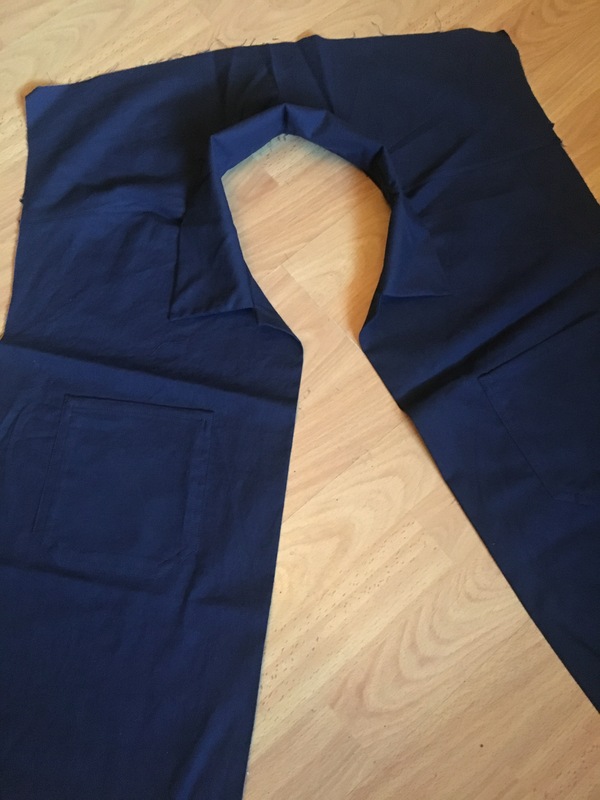 The only other change I made was to cut two back waistbands to make a casing for elastic. I wanted the waist to have a little shaping so inserted the elastic (5cm shorter than the waistband) and secured it into the side seams. The zip would have been fine, except I cut it down to size & inserted it before remembering I’d lengthened the body. Luckily it’s ‘just’ a surface-mounted-zip and wasn’t too tricky to unpick & replace. I’m pretty sure that the cut up one can be used somewhere else too. The sleeves set in nicely with only a little bit of easing & no puckers. I abandoned my tried and tested ‘Million Pin’ method for the slightly simpler ‘Thousand Pin’ method. It’s good to know my skills are developing. And there it is. 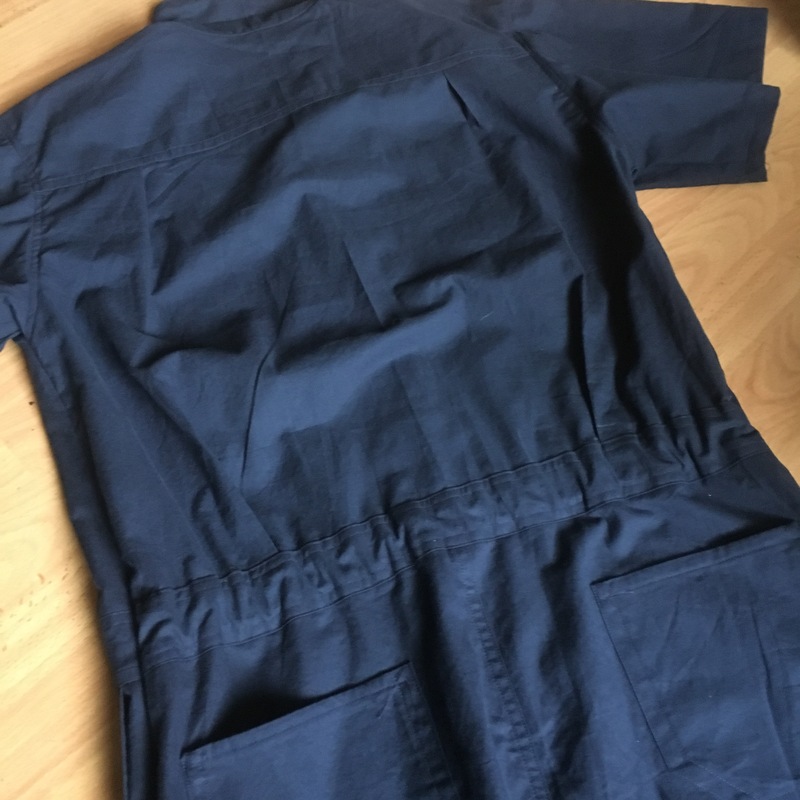 One light weight, easily washed 100% cotton (except the zip!) 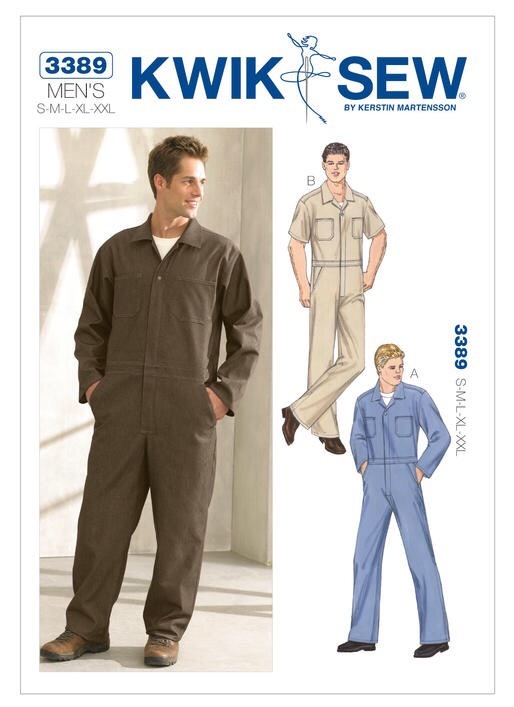 set of overalls. Let’s hope that’s what CousinA has asked Santa for Christmas. 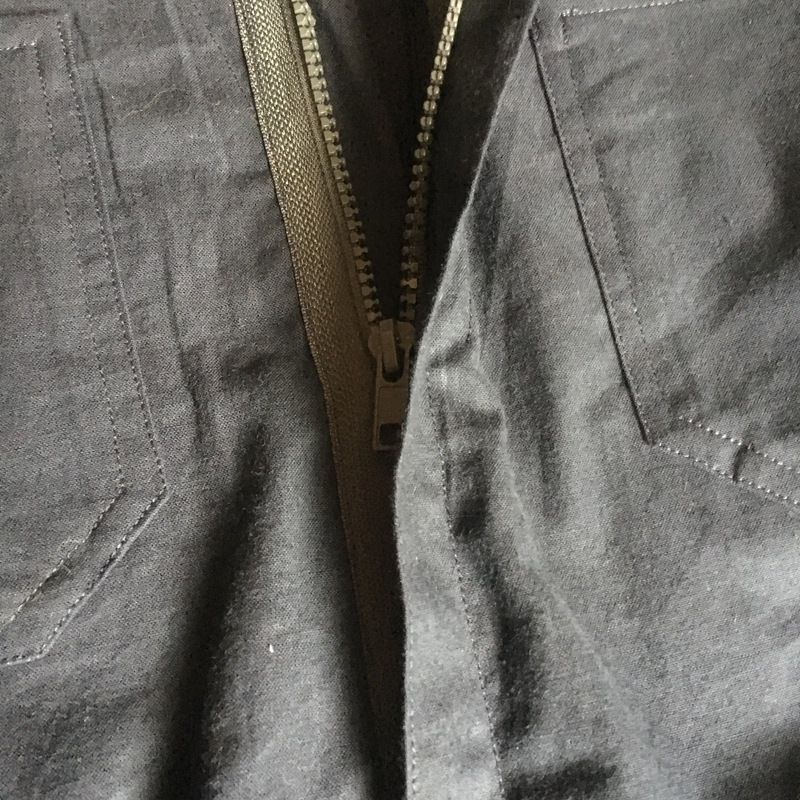 Don’t cut zips down before checking length. Not so long until Christmas … keep sewing! It looks great. The topstitching is excellent. 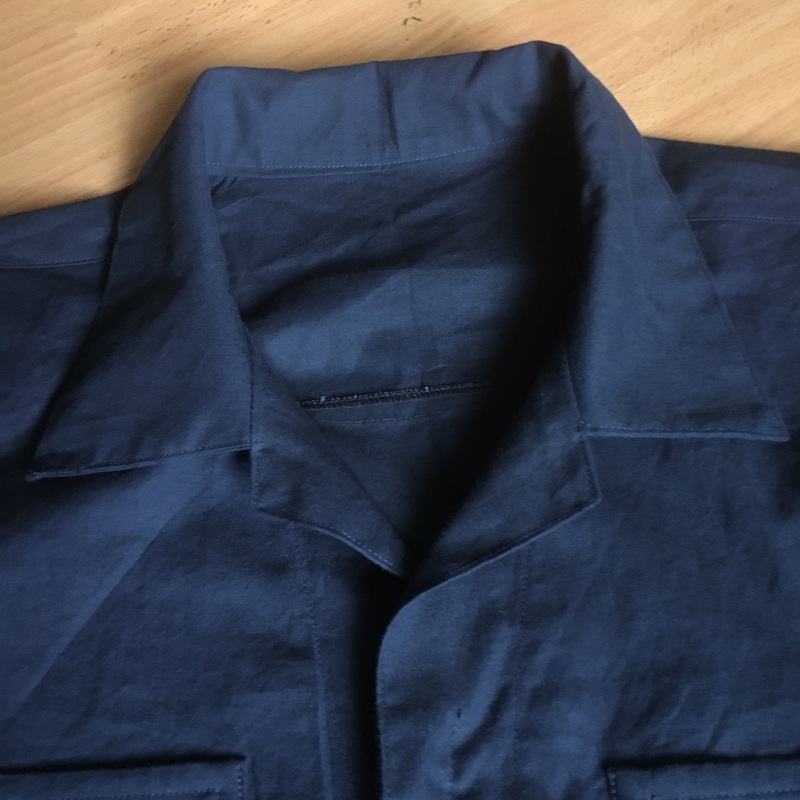 CousinA will be surprised and very pleased with this beautiful coverall. Sage advice, naughtybun, sage advice! Oh, and btw – they look great! They remind me of gramp’s indigo overalls who faded to a pale dusky blue over the years, as the cotton became baby soft. Thank you, hopefully these will be loved & used as much over the years!